Late Sunday, Miller’s campaign account shared the post without adding a comment, according to the Dallas Morning News, and it was removed sometime Monday morning. On Aug. 9, 1945, the U.S. dropped its second atom bomb on Japan during World War II, killing tens of thousands of civilians in Nagaski and prompting Japan’s unconditional surrender. Commemorating the bombings this month, Shinzo Abe, Japan’s prime minister, called for an end to nuclear warfare. Texas Democrats decried the posting as “hateful,” calling for an apology. 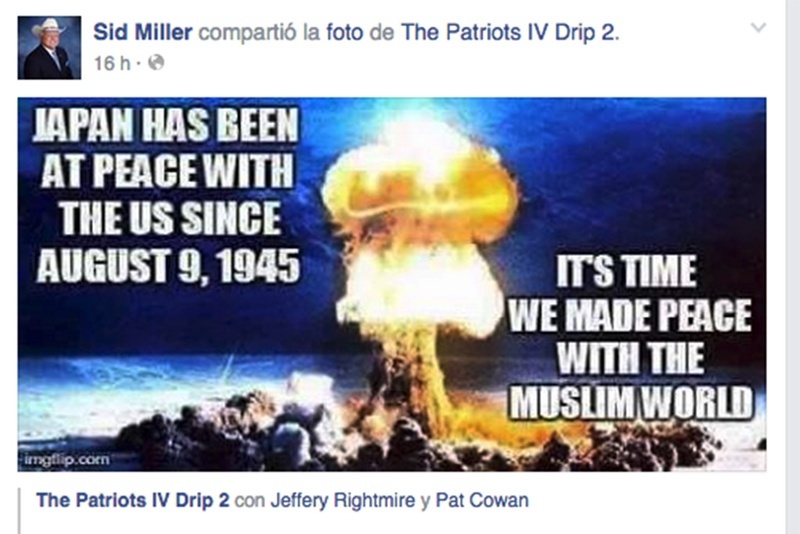 “It is unacceptable for Republican Sid Miller to be promoting such disgusting rhetoric. Sadly, this kind of racist, xenophobic hate speech qualifies you for higher office with Republicans’ Tea Party fringe base,” Manny Garcia, the state party’s deputy executive director, said in a statement Monday. Though Miller did not personally post the photo, Smith said, the commissioner has not been afraid to publicly share his views about Muslims. 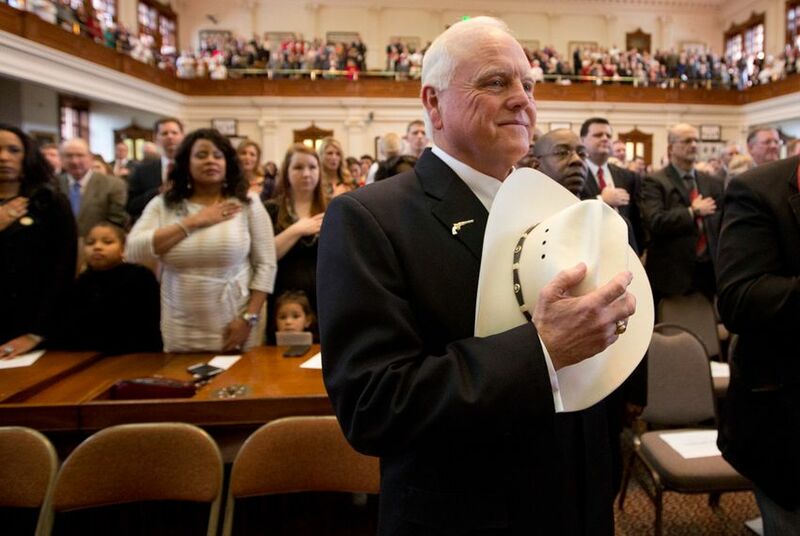 Shortly before he was sworn in, for instance, Miller appeared at a Texas Public Policy Foundation forum at which he was asked what keeps him up at night. “I read the post this morning, and we’re at the 60th anniversary of dropping the atom bomb in order to destroy an insidious enemy that was intent on destroying American lives, and we face a similar enemy who has vowed to destroy American lives, and I think that’s the topic that the American people are focused on," Smith said. Miller, a former state representative in his first year as commissioner, is currently on an 11-day trade mission in China, with stops in Beijing, Shanghai, Hangzhou and Lanzhou.